Michele has 15 years experience in complementary therapy and beauty treatments, and has worked in Spas and clinics worldwide. Michele was passionate about recreating the same spa environment, philosophy, standards and expertise, together with the convenience, affordability and friendly charm of a salon – with this is mind ‘White Tara Therapy Centre’ was born! Dan Regan is a highly qualified therapist who aims to help every client meet their potential and achieve their goals. He tailors each hypnotherapy session to match the needs of the individual and believes that every client can succeed in making the changes they are seeking. Dan’s qualifications include Certified Hypnotherapist, Master Practitioner NLP, Master Practitioner Time Line Therapy, Master Hypnotist, Certified Professional Coach. “A local mum of two, I am passionate about using complementary therapies, having found them to be really effective in helping my family, friends and clients to stay healthy. Whether you are seeking an energising ‘pick me up’ or a chance to relax, feel calmer and more able to cope, I can offer a treatment to suit you. Each appointment is personally tailored to your needs so that you can be assured of the very best care. Rebecca trained with some of the UK’s leading practitioners including Kitty Campion and went on to work closely with her as her senior therapist at The Campion Clinic in North London. 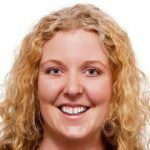 She has also trained in iridology, western herbalism, aromatherapy and reflexology, Becca brings together all she has learned in many disciplines to provide a 360 approach to Colonic Hydrotherapy. Becca is fully insured and a member of ARCH, the Association of Registered Colonic Hydrotherapists Established 1987. 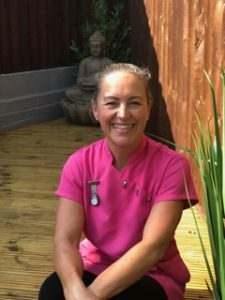 ITEC trained Charmaine has been practising reflexology since 2009, she has since gone on to study ‘Fertility reflexology’ and is a member of the ‘Association of Reproductive Reflexologists’. She is a qualified ‘Mindful’ reflexologist working with clients suffering from anxiety, stress and depression; she is also a qualified ‘Maternity’ reflexologist. Charmaine also offers ‘Hot Stone’ reflexology – loved by clients wanting to take relaxation to another level; it has been shown to lower cortisol levels and help to support the parasympathetic nervous system to help the body reverse the stress reaction. Dana is a certified crystal therapist specialising in chakra balancing. She is a member of The Guild of Holistic Therapists. All treatments are tailored to each individual client’s needs. Crystal therapy can balance and align the chakras to help the client feel a new sense of calm and well being. Crystal therapy can improve chronic physical symptoms, release stagnant energy, create greater mental clarity and instill a sense of balance. Please contact Dana to ask any questions about the treatment and how it can help you. 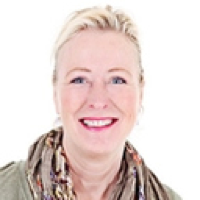 Vicky specialises in healing, helping people to raise their vibrations and facilitating change. She is qualified in reiki healing, regression therapy, hypnosis and has a degree in herbal medicine. She has been practicing reiki for over 20 years and is constantly learning new things to improve herself as well as her practice. Vicky works with people who genuinely want to see change in their lives. My journey to becoming a qualified professional has taken almost three years of study at The Acupuncture Academy, Royal Leamington Spa (taking a short break to have one of my lovely babies!). After six months of supervised practice, I am now qualified to deliver acupuncture treatments with satellite supervision from my tutors at TAA; meaning that I am fully supported with thorough treatment planning through delivery of individual case studies and in depth research into your illness or issue. With this in mind, my current treatment prices reflect my pre-qualification status and will be reviewed on completion of the course in August 2019. A member of the British Acupuncture Council, I am now very excited to be providing acupuncture in the Cambridge and West Suffolk area.